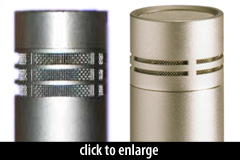 The KM 184 is a transformerless FET pencil condenser mic. 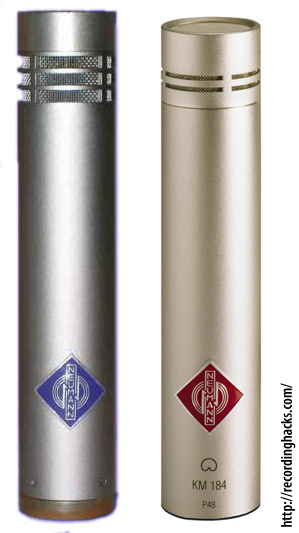 Part of Neumann’s “Series 180” mics, it has a cardioid pickup pattern; other mics in the series provide omni and hypercardioid responses. The capsules on these mics are not detachable. The 184 replaced Neumann’s classic KM84 in the product lineup. 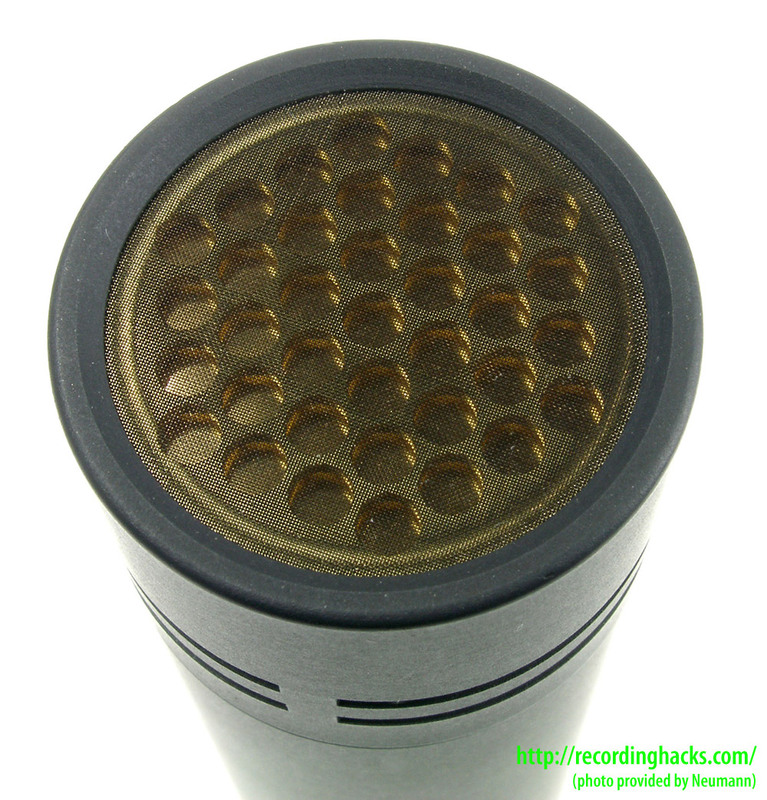 The two mics share a capsule design, although in the KM 184 the rear vents on the capsule housing are significantly smaller. The capsule in the KM 184 is Neumann part number KK 64 (later designated KK 84). It is a small-diaphragm design with a backplate construction technique developed by the Neumann factory in the early 1960s. The distinguishing characteristic is that instead of using a complex arrangement of blind- and through-holes in the backplate to adjust the resonance and damping of the diaphragm, the backplate is carved with a series of slits. This manufacturing process is easier and therefore less costly, and the acoustic properties were found to be superior, in that the resulting capsules were both more linear and provided better directionality. Neumann’s internal term for this is the “crossed-slit” capsule (Kreuzschlitz-Kapsel). 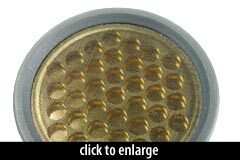 The diaphragm is a gold-sputtered polyester film (e.g. Mylar). Changing the vent size and placement affects the frequency response of the microphone. The new vent design creates a presence peak from 7kHz–15kHz that Neumann describes as sounding “fresher and livelier” than the flat-response KM84. The low-frequency response is also different; the 184 rolls off at a higher frequency. Compare the frequency response of the two mics by clicking the graph image at right. The KM 184 is available in satin nickel or matte black finishes. The mic ships with a foam windscreen (Neumann p/n WNS 100) and a swivel mount (p/n SG 21 bk). Factory-matched pairs are also available. 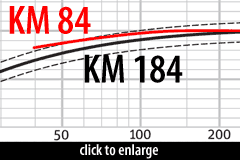 The Neumann KM 184 is also known as: KM184.